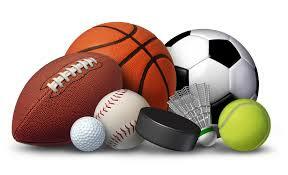 The options available through Internet sports betting sites are numerous and varied. Equipped with the right information, you can enjoy a plethora of betting options. Much like the stock market, knowing when to bet a moving line can be the key to success. Most online sports books are simply followers of other lines. Paying attention to line moves is vital to winning long-term. Thanks to the Internet, it’s now possible to watch line moves from the comfort of your favorite chair. 1.Make each bet a small percentage of your overall bankroll. For example, if you had a ,000 bankroll and wanted to make each bet 1% of that, your average bet would be . As you win, you bet amount goes up. 2.Don’t chase losers. Keep your bets solid and follow your defined sports betting parameters. Just because you lose three bets in a row does not mean you will win any time soon. If you don’t pick winners well, this could go on for some time. Keep to your guns. 3.Straight bets are better than parlays. Sure, parlay bets offer the chance to win a lot of money for a small bet, but straight bets will be your consistent winner over time. Everyone plays parlays, but don’t make them the focus of your sports betting activity. 4.In horse racing, don’t bet a horse to just show. If you think the horse is good enough to be a front-runner, bet the horse to win, place and show. If the horse is not good enough for this type of bet, in your opinion, the horse is not worth laying any money on to begin with.